Entirely self-trained, Chang’s practice stood out against the orthodoxy of modern art in Thailand—in particular the dominance of a single art school. 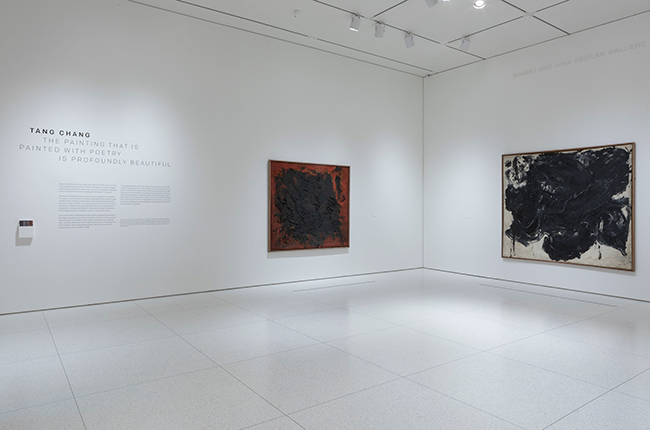 Chang’s earliest works were commissioned portraits, however, in the late 1950s, he stopped using brushes in favor of using his body to make abstract paintings that were at once gestural and calligraphic. 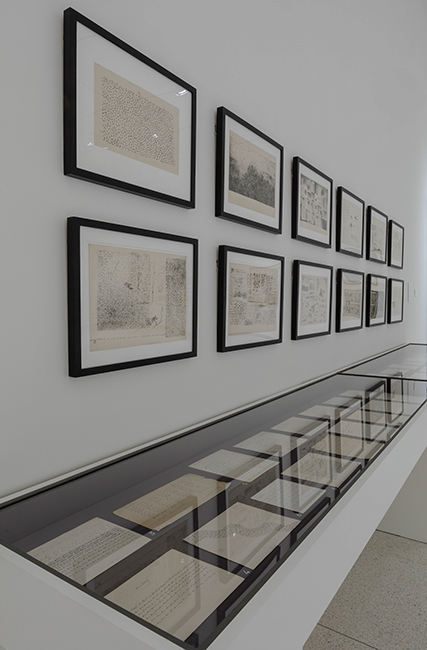 At the same time, he began a prolific drawing practice, sketching frenetic and obsessive lines, shapes, and strokes on small pieces of paper. 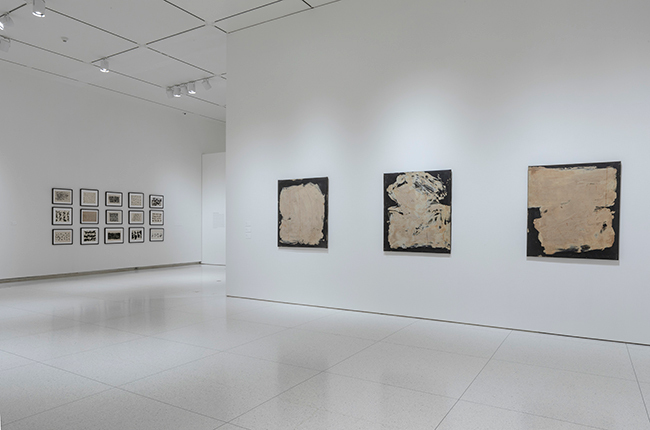 Later in the 1960s, Chang began to draw poems, repeating words across the page into patterns and shapes. He was considered the founder of a new style of Thai poetry, one that used vernacular, simple language as opposed to the erudite style that had characterized Thai poetry in the past. 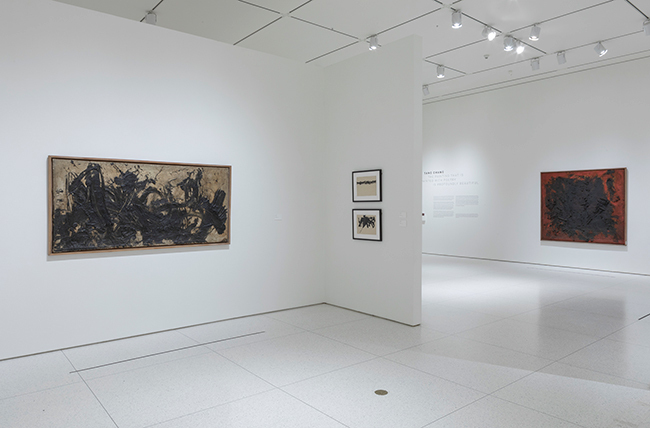 This exhibition showcases his large-scale paintings, works on paper, and original poetry-drawings with English translations in order to reconsider the connection between painting and poetry in Chang’s prolific practice. 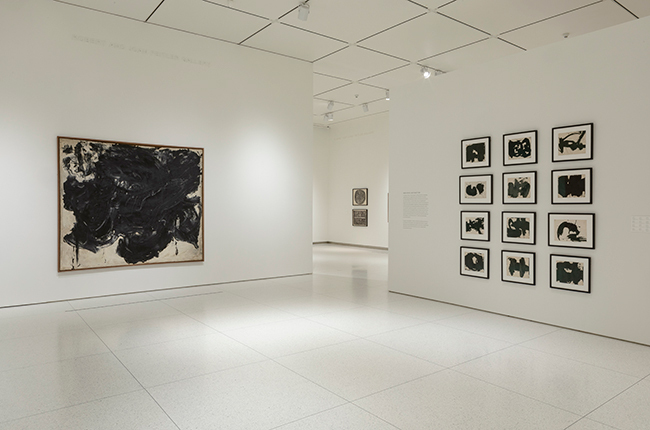 Taken together, these works demonstrate his innovations in gesture, form, text, and image across different media while also expanding our understanding of the development of abstract and calligraphic art globally. 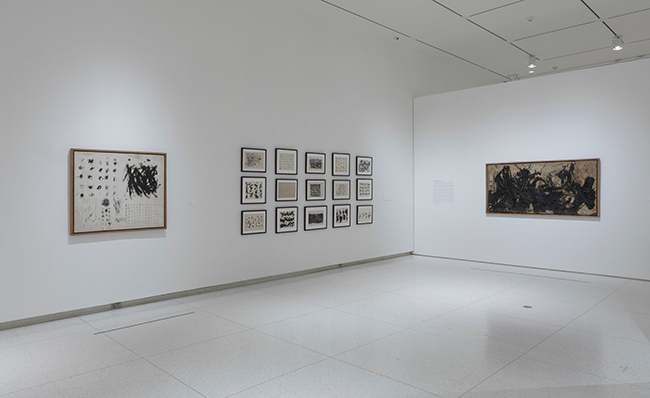 The exhibition is accompanied by a small publication that features a timeline of Tang Chang’s life and Thai history and an original essay by Orianna Cacchione that traces Chang’s relationship with the Thai art scene and examines affinities and divergences between his work and international forms of gestural abstraction and concrete poetry. 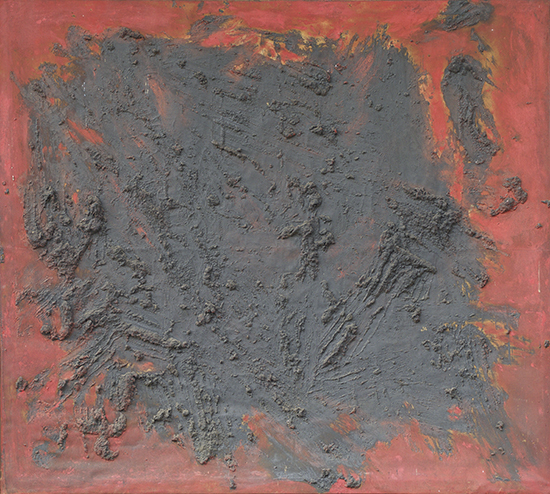 Above: Tang Chang, Untitled, c. 1963, Oil on canvas. Courtesy of Thip Sae-tang. Orianna Cacchione, Smart Museum Curator of Global Contemporary Art with the assistance of Mary Pansanga and Tyler Blackwell. Support for this exhibition has been provided by Gay-Young Cho and Christopher Chiu. Additional support has been provided by the Museum’s SmartPartners.